Audrey Hepburn. audrey hepburn classic film actress. Wallpaper and background images in the sinema bora club tagged: audrey hepburn actress classic films photo. This sinema bora photo might contain pikipiki askari, pikipiki polisi, kasi askari, askari wa pikipiki, askari polisi wa pikipiki, and askari wa kasi. 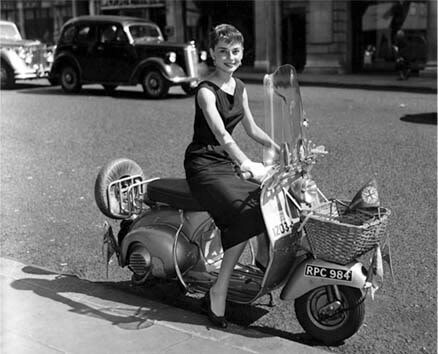 She's elegant even on a scooter! lol!